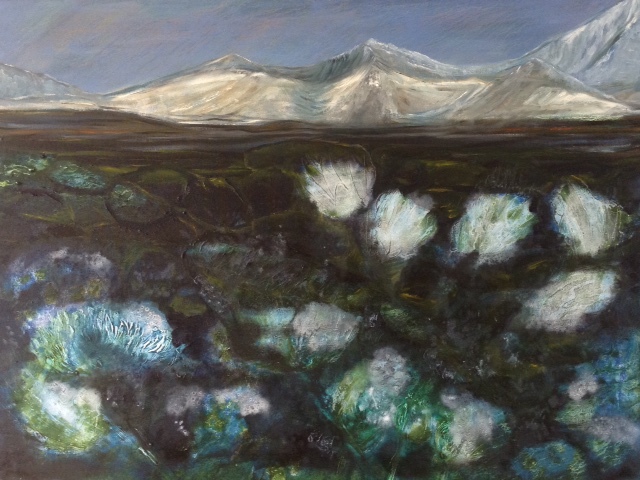 Ratljóst is an exhibition of work by artists Barbara O’Meara and Jole Bortoli produced last November during a month-long residency in Laugarvatn, a village some 70km from Reykjavik, Iceland. The show marks the collaboration between two artists who, over four weeks time, with just enough light to navigate by, produced a substantial body of small-scale work inspired by the Icelandic landscape and folklore. The work on view is a selection of acrylic and oil paintings that reveals the importance and diverse use of colour for which the artists have a connected shared interest. Barbara’s work is fluid and an immediate response to the surroundings, while Jole’s is more contained perhaps reflecting her previous experience as a graphic designer. The exhibition opens on Saturday 14th October in The Russell Gallery in New Quay, Burrin, Co. Clare and will run until the end of the month.